BioWare has revealed the inclusion of what they called “an action-packed dungeon-crawling four-player co-op experience,” in upcoming RPG Dragon Age Inquisition, in an FAQ on the Dragon Age website developer. The mode will feature similar role playing elements to the main game, including loot collecting and a familiar levelling system, but will not include any pvp elements. 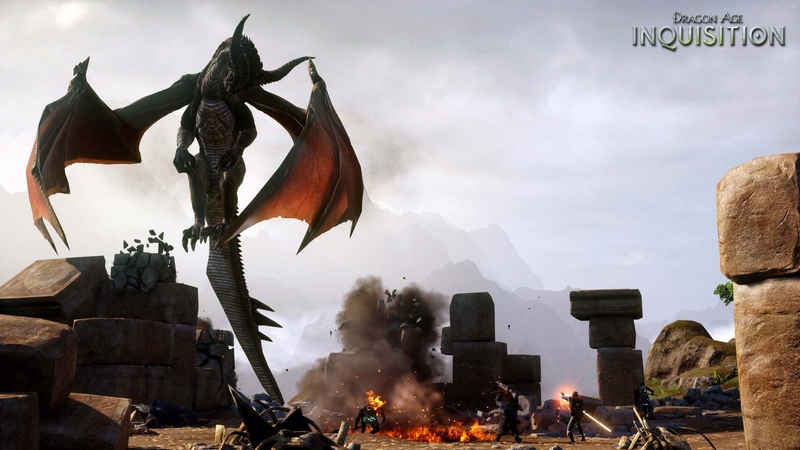 The announcement comes after multiple rumours of multiplayer in the upcoming Dragon Age game, springing from the release of a survey in February that asked players how much they enjoyed the multiplayer component in previous BioWare titles. The newly announced multi-player mode will be walled off from the single player campaign with no benefits moving back and forth between the two modes. The four player co-op will also continue publisher EA’s increasing adoption of micro transactions, although developer BioWare was quick to point out: There will be no pay wall. There will be some overlap between single player and multiplayer including aspects of level design and even recipes for crafting, but four player co-op will not contain the same deep story elements as the campaign. Dragon Age Inquisition launches worldwide on November 18th for the PlayStation 4, Xbox One, PlayStation 3, Xbox 360, and PC.